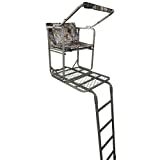 Helping hunters everywhere find the best ladder stands the market currently has on offer! The humble ladder stand…one of (arguably) the essential pieces of gear a hunter can have when he’s out in the dense forest, covered by a tall tree-canopy. What Does A Good Ladder Stand Look Like? Well, it’s a platform with a seat, and it has a wooden ladder, which is there to help hunters climb up to the top of the stand. 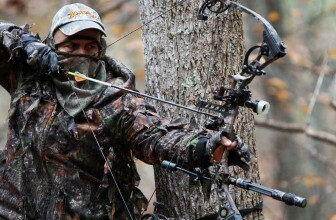 The ladder stands easily attaches to a tree, which then ensures that a hunter literally has a bird’s eye view of his surroundings. Some ladder stands were made with two people in mind, while others were manufactured for single-person use only. With that being said, it’s time to get to the real beef of this article, which where we’ll show you some of the best ladders stands currently available on the market. Have a look at our tac x tactical expert reviews and then use that information in order to guide you through the process of purchasing your own ladder stand! As its name implies, the Summit Solo Pro Ladder Stand is a single-person ladder stand; it’s one of t he best currently available on the market. We love the roomy platform area and the fact that this stand has a very comfy seat just seals the deal for us. It’s also very easy to set up and fold back down again once you’re done with your duties for the day. A great feature on the Summit Solo Pro Ladder Stand is its detachable gun rest, making it very handy for bow-and-rifle hunters alike. Coming in as our runner-up in this throw-down post is The Onyx Ladder Stand from X-Stand. 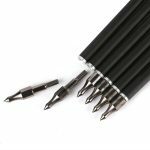 It’s super safe and very reliable, and the best part about it is that it’s also affordable! With its Lock-jaw system, The Onyx has the superior grip which ensures that hunters have firm and secure stands throughout their experiences. This stand can also latch itself securely to a tree, thanks to the dual-jaw system. As far as the platform goes, it’s roomy enough and very secure. The seat is made with mesh materials and features comfort bonuses such as an armrest and a footrest, just to keep you as cozy as possible while you’re “on the job”. Very secure, stable and safe thanks to the Lock-jaw and dual-jaw systems for attachments. 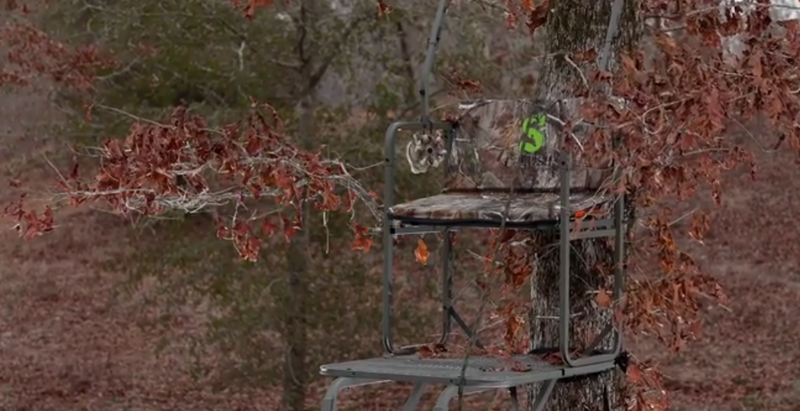 The Nexus Ladder Stand from Big Game Tree Stands was clearly made with withstanding the worst of weather in mind. 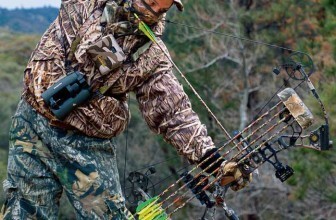 It was also designed to accommodate up to 2 hunters at a time, meaning that it’s super ve rsatile. 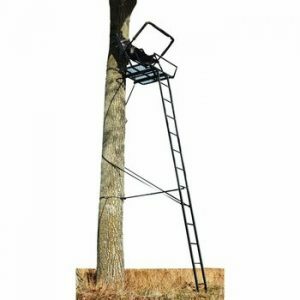 With its patented Zero-Gravity Flex-Tek Technology, the Nexus is super lightweight when compared to the other top two-seater ladder stands on the market today. This is a huge deal. Huge! Aside from its obvious weight perks, the Nexus is also very comfy to use since it comes with padded seats. 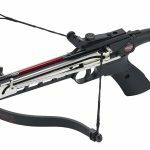 Another nice bonus is the addition of the sturdy shooting rail and the gun rest that can both be removed or attached to the drop of a hat. Since the Nexus is made with high-quality steel materials, it’s very sturdy and durable, and thanks to the non-slip coating it spots, this ladder stand won’t let you slip on your way up there. 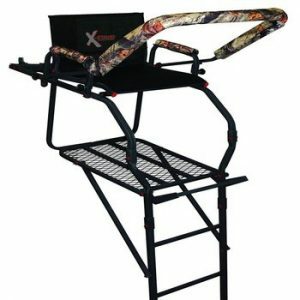 When you find the best ladder stand that has a wide-enough platforms yet is still lightweight enough to carry around from one hunting area to the next, you can rest assured that you have found the best ladder stand for your unique needs. Having a wider platform to move around on will ensure that you’ll have adequate space to move around in order to place your shot. The ones with wider platforms also tend to be much more safe, secure, and comfortable to use. Not to mention the fact that they’ll conceal your shadow from the prey underneath. Having read through the information we’ve given you, and having compared the 3 top ladder stands on the market, you should be able to make an informed decision regarding the purchase of your first (or next) ladder stand!